AUSTIN (Nov. 18, 2018) – The Austin Spurs, presented by SWBC, today announced that they have acquired guard Nick Johnson. Johnson spent last season with the Austin Spurs, helping the team to the 2017-18 NBA G League Championship where he was named the NBA G League Finals MVP. During the regular season, Johnson averaged 11.7 points, 4.0 rebounds and a team-high 3.8 assists in 31.3 minutes. Johnson was first acquired by Austin on Dec. 28, 2015 from the available player pool. He spent the rest the season with the 2015-16 Spurs, averaging 10.4 points, 3.7 rebounds and 3.0 assists in 28.9 minutes over 34 games. Johnson will wear Jersey no. 13 when Austin plays at home later today against the Oklahoma City Blue at 4 p.m. at the H-E-B Center at Cedar Park. In a related move, Austin has waived Corey Henderson. Both individual game tickets and season tickets for the 2018-19 campaign are available. 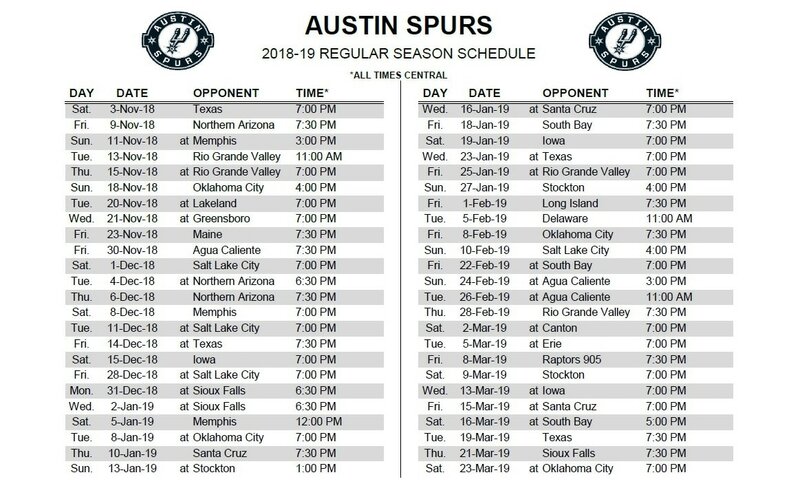 To become an Austin Spurs Season Ticket Member, call (512) 236-8333 or visit AustinSpurs.com for more information and the full season schedule.